In one sense, campaigns are doing a more sophisticated version of what they’ve always done through the post office 2014 sending political fliers to selected households. But the Internet allows for more subtle targeting. It relies not on email but on advertisements that surfers may not realize have been customized for them. Campaigns use voters records to assemble lists of people they’re trying to reach 2014 for instance, “registered Republicans that have made a donation,” Yahoo’s director of sales Andy Cotten told ProPublica. Microsoft and Yahoo help campaigns find these people online and then send them tailored ads. These messages don’t just pop up in Yahoo Mail or Hotmail. Because Microsoft and Yahoo operate huge networks that provide advertising on some of the most popular web destinations, targeted ads can appear when a voter visits a swath of different sites. Microsoft and Yahoo said they safeguard the privacy of their users and do not share their users’ personal information directly with the campaigns. Both companies also said they do not see the campaigns’ political data, because the match of voter names and registration data is done by a third company. They say the matching is done to target groups of similar voters, and not named individuals. According to Microsoft, President Obama’s re-election campaign has recently done this kind of targeting, and both national political parties have done so previously. The marketing site ClickZ, the Wall Street Journal, Slate and others have previously noted the ability of campaigns to target online ads to specific groups of voters. But what has not been detailed is which companies are now making the targeting possible by provide users’ personal information 2014 and which have decided it’s off-limits. “Today, those barriers have been leapt over with abandon,” he said. Privacy advocates note that there’s no way to track what messages campaigns are showing to different targeted groups 2014 or whether politicians may be pandering to different voters. “Whenever a campaign or other big organization knows much more about you and your habits than you know about them, any voter is open to manipulation,” said Chris Calabrese, the privacy lobbyist for the American Civil Liberties Union. Mitt Romney’s campaign, which also uses sophisticated microtargeting tactics, did not respond to requests for comment. Targeted Victory, a firm that specializes in digital political targeting, had done nearly $4 million of work for Romney’s presidential campaign as of March. Targeted Victory’s advertised services include reaching voters online using voter registration data. The company’s co-founder, Zac Moffat, currently serves as the Romney campaign’s digital director. Neither Moffat nor Targeted Victory would comment on whether the Romney campaign is using voter records to reach potential supporters online. Microsoft would answer questions about its targeting services only through a public relations spokesperson, who also asked that her name not be used. Microsoft’s chief privacy officer, Brendon Lynch, did not respond to requests for comment. The Republican National Committee also wouldn’t provide details about its practices, but a spokeswoman said, “Targeting is one part of a larger playbook we have and will continue to employ. We follow legal guidelines and industry best practices.” The Democratic National Committee did not respond to requests for comment. When you see an online ad, you may assume it’s comparable to a billboard 2014 identical to everyone who walks by. But that’s not the case for many ads. In the milliseconds it takes for a page to load, advertisers can identify a particular user visiting a site, and choose ads to display based on what they know about that user. For instance, surfers may be shown a shoe ad if they recently visited a shoe site. Most of this sort of targeting doesn’t require your name. Political targeting does. Campaigns may want to reach only reliable party members, or independents who might swing their way. That’s where Microsoft, Yahoo, AOL and other lesser-known companies come in. Their enormous stores of registration data can serve as the bridge between particular Internet users and their voter information. Online advertising is delivered with the help of cookies, tiny files that companies place on surfers’ browsers. Cookies can be used to track people as they move from site to site, helping specialized firms most users have never heard of create detailed records of the sites users visit and the links they click. This tracking is typically done through anonymous ID numbers; the tracking firms and advertisers don’t know you by name. Microsoft and Yahoo both said the cookies aren’t connected directly to names or other personally identifying information. Instead, they use a complicated process to match coded voter information back to anonymous cookies on particular users’ browsers. Microsoft said that the credit reporting giant Experian performs a “double-blind” match between Microsoft’s data and campaigns’ data. 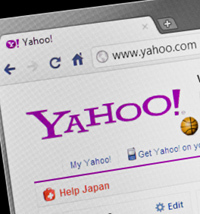 Yahoo uses another massive data company, Acxiom. Both Experian and Acxiom also offer similar matching for commercial clients who want to find previous customers online. “They don’t need your permission to do this,” said William McGeveran, a data privacy expert at the University of Minnesota Law School. As long as a company has not explicitly promised users not to do this kind of matching, the process is legal for both political and commercial entities, McGeveran said. Microsoft, Yahoo and AOL all point out that users who don’t want to be targeted can opt out. But you need to realize you’re being tracked before you can decide whether to opt out. Under the online ad industry’s self-regulations, most targeted ads are marked with a tiny blue triangle and a phrase like “Ad Choices.” Web surfers can click on this icon, read some general information about targeted ads, and find a link to a page that will allow them to opt out of receiving such ads in the future. Few ever notice or understand the symbol. Speaking to an industry audience at the CampaignTech conference in Washington, D.C., in April, Cotten, from Yahoo, said less than one percent of Yahoo’s users have chosen to opt out of targeted advertising. “Most users are not even cognizant that they’re being targeted,” he said. Nor are the companies’ privacy policies much help. The voter matching process is still far from perfect. Blaise Hazelwood of Grassroots Targeting, a Republican firm, said that the process is expensive, and that it’s typically only possible to locate 20 to 40 percent of a given list of voters online in a typical matching process. Hazelwood was one of the first to use this tactic. She worked with Resonate, a data and targeting company, to deliver online ads to groups of Louisiana voters during Bobby Jindal’s 2007 gubernatorial campaign. Microsoft, Yahoo and AOL have agreed to implement “Do Not Track,” but how exactly websites and advertisers will have to respond to the setting isn’t clear. In a surprise move, Microsoft recently made “Do Not Track” the default setting for the latest version of Internet Explorer browser, a decision that has received fierce pushback from the advertising industry and a key policy group.